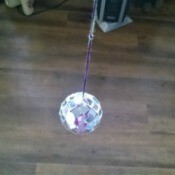 How to Make a Mirrored Ball for CatsThis is a guide about how to make a mirror ball for cats. When you hang this mirrored ball up in the sunlight, the floor will be dancing with specks of light for your cat to chase. Making a Valentine's Day Hearts CardThis is a guide about making a Valentine's day hearts card. These beautiful, curly paper hearts are the perfect decoration for these custom cards. 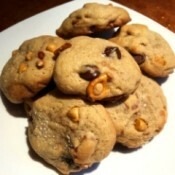 Butterscotch Chocolate Pretzel CookiesThis is a guide about butterscotch chocolate pretzel cookies. This recipe is a great way to use up the broken pretzels at the bottom of the bag. These butterscotch chocolate pretzel cookies are the perfect combination of salty and sweet! Paper Snowman Dry-Erase Tic-Tac-Toe & Dots and Boxes BoardsThis is a guide about making paper snowman dry-erase tic-tac-toe & dots and boxes boards. Are you looking for a fun winter themed craft to make with your kids? 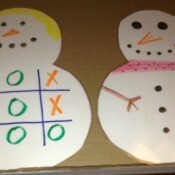 These snowman game boards are easy to make and are reusable for endless fun. 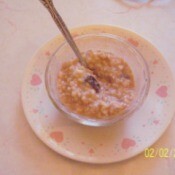 Healthy Oatmeal Pudding RecipeThis guide contains a healthy oatmeal pudding recipe. Similar to rice pudding, this recipe uses leftover oatmeal and spices to make a hearty snack. Add in your favorite dried fruit and enjoy! 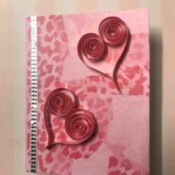 Making a Paper 3D HeartThis is a guide about pop heart decoration. 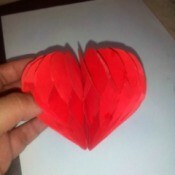 These neat 3D paper hearts can be attached to a Valentine's day card or gift for a beautiful handmade touch. They also make great decorations for your home or office. While they may look complicated, they are quite easy to make. 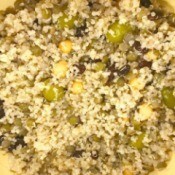 Lentil and Bean Quinoa SaladThis is a guide about lentil and bean quinoa salad. This cold lentil, bean, and quinoa salad is easy to make and only uses a few ingredients. It is a perfect salad for a side dish or light meal. 'Loved Up' Heart Drink CoastersThis is a guide about making 'loved up' heart drink coasters. 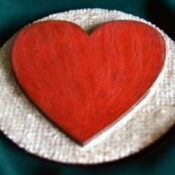 These cute coaster make a great gift for Valentine's day. They are easy to make and can even be customized with a personal message. Monkey (Jack Russell Chihuahua Mix)Some lady was beating him and I threatened to call the police on her. She basically threw him at me and he's been following me ever since. I love him; he's my son. 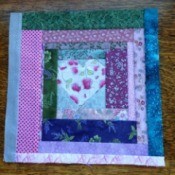 Community Quilt BlockI went to a meeting of the local quilter's guild special interest group, Community Quilts. They makes quilts to donate to DSHS foster care (given to foster care children when they graduate from high school), a local veteran's home. 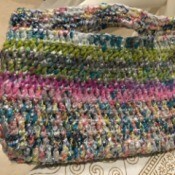 Repurposing Dry Cleaner's Plastic to CrochetMake plarn (about 2 inches thick) with the plastic and crochet baskets, purses, and bags, among other things. Transporting Wet Clothing to ClotheslineThis is a tip for old folks like me and maybe some young folks as well. 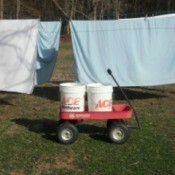 Use 5 gallon buckets and a wagon to take heavy wet laundry to the clothesline. Comparing On-line to In-store Paint Color ChipsI will be having a lot of painting done in late spring or early summer. And I will be doing a lot of the painting myself. I have already started picking colors, or at least trying to. Getting Rid of Insects in the BathroomThere is a bizarre group of insects in one corner of my house right up to the wash basin we use to wash hands. I have tried many things to get rid of them, but all in vain. Vintage Crochet Santa Bib PatternWhen my children, now grown, were small, I had a pattern from Country Woman or Country Crafts Magazine for a crochet Santa Bib. I have searched everywhere on the internet for it. 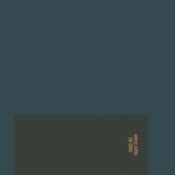 Does anyone have a copy they would share or sell? 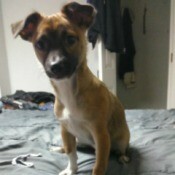 What Breed Is My Dog?I was told my dog was a Chug, but everyone doesn't think so. Can anyone help? Receiving Social Security Death BenefitsMy boyfriend's mom passed away when he was 6yrs old. He wanted try to get proof his grandfather used it on him or not. There was a significant amount of money received for him and his 2 siblings. Will it be worth it to check into it or not? 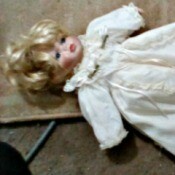 Identifying and Value of a Vintage DollI stumbled across your website and found it so interesting that I dug this doll out of a dark closet! She probably has no value, but for giggles, perhaps you can give me some info on her. The mark is U 39 and as far as I can tell she is made of hard plastic, the eyes open and close. 14th Birthday Party IdeasIt's my 14th birthday on 13th April and I want to have a party with my friends. 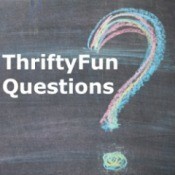 I will be having a birthday party on the 28th of April, but I don't know what to do? I might invite 1 boy, but it depends on what I decide to do. 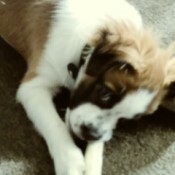 Caring for a Puppy with ParvoMy puppy is 3 1/2 months old. He started vomiting 2/16 we took him to the vet right away. He had treatment for parvo. He was sent home 2/18. As soon as we got home he had diarrhea. Is this normal or should I take him back to the vet? 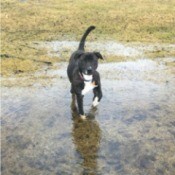 Is My Pit Bull Full Blooded?I was wondering if anyone could tell me if my pup is a full Pit or a Pit mix! The owners before me told me she was full Pit, but she doesn't look like it to me. Any answers? 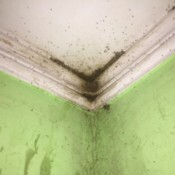 Cat Litter Clogged the ToiletI have dumped the waste from the cat litter in the toilet about four times and there was no problem until the last time. The cat had a big clump and it wouldn't flush down. Now the toilet has cat litter that won't flush. 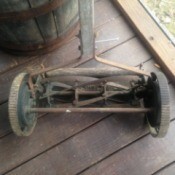 Value of a Peerless Reel MowerI am looking for info/value for an all steel Peerless rotary mower. 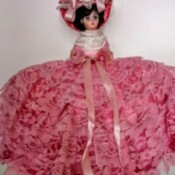 Identifying a Porcelain DollI have this porcelain doll with numbers engraved on her neck 9407 and a symbol that looks like a back to front J. I am just wanting help in identifying who made her and how much she is worth.